Hymn Sing Sunday , August 13th! Come sing your favorite hymns and be filled with the spirit of music! If you'd like to request specific hymns that morning, email your requests to Ryan before Tuesday August 8. If you need to look at the hymnal, h ere's a link to the contents of the New Century Hymnal. Convergence Leadership Project. It's not too late to join us as we embark on a journey to be effective leaders in this new era of the faith. Need more information? Check out this site. As part of La Grange's Endless Summer Celebration, the La Grange Churches will meet at 10:30 a.m. this Sunday, August 6 at Gordon Park. Fantastic music, a combined choir, and a lot of energy will buzz together! Click here for map! Messy Church will be this Sunday, August 6th at 4:30 pm. Our theme this month is Who is God? Come and have a great time and grow in faith and in your love of others on the journey. If you have a child 0-18 please make sure to fill out a Sunday School registration form! Forms can be found in the office, on the Sunday School bulletin board, or outside Sylvia's office. You can also click here! Oh Jonah! One performance only! Tomorrow , August 4 at 7pm in the sanctuary. The Salt Creek Chamber Orchestra will be presenting Ralph Vaughan Williams’ Riders to the Sea and Puccini’s Gianni Schicchi on August 12 at 7:30pm at First United Methodist Church, 100 W. Cossitt Ave. Ryan Cox is playing Schicchi. Ticket info here . Last call for school supplies! Please bring new supplies for the LeaderShop’s annual drive. They particularly need three ring binders (1” or 1-1/2”), pens, pencils, folders, dry erase markers, and school glue. Place them in the boxes outside the sanctuary and chapel. They will be picked up by August 7th . Click here for a list of more supplies. Thank you to those generous folks who have recently donated food items for the Second Baptist Food Pantry. For the month of August, canned tuna and salmon would be especially appreciated. Place donations in baskets outside of the Chapel or Sanctuary. As always, all nonperishable food items are gratefully accepted and will help needy local families. Missions will be facilitating a book discussion focusing on issues of social concern. We will meet at 7:30 on the 1st Monday in November, February, and May. 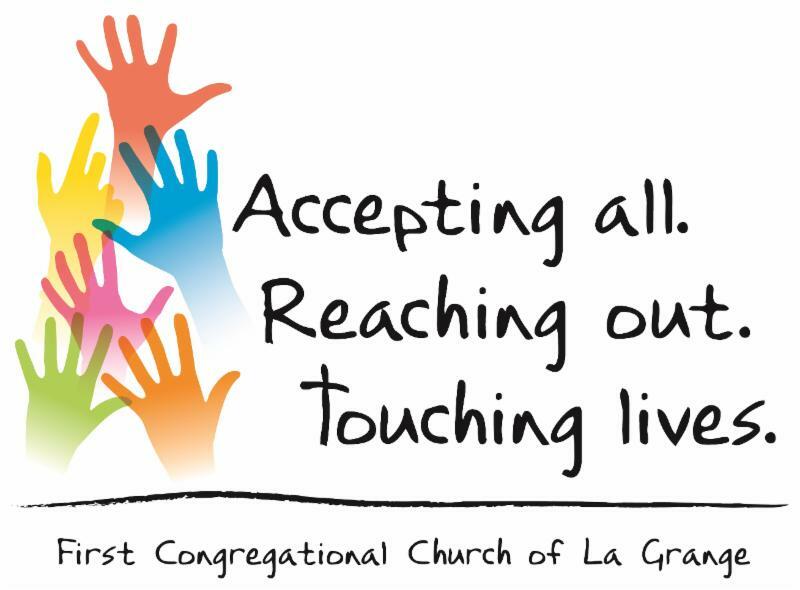 Anyone interested in participating in pastoral care through card showers or reaching out to members of the congregation, please email or call Carly or the main office . Volunteers are needed for School and Tutors on Wheels Adult Literacy/English as a Second Language program. Training will take place on August 19th and 26th. Full article. Craft Fair 2017 - Save The Date! October 21st is the Church Craft Fair from 11:00am to 4:00pm. Check out the FCCLG website to become a volunteer or sign up for a table. Call Dave Bryant at 708-352-3034 for more details. Prayer is at the heart of our relationship with God. Please lift these friends, family, and members in your prayers. Ojo Adedji, seeking asylum in the U.S., whose hearing has been postponed to October. Conrad Affholter, 13 month old son of Jessica, and grandson of Joan Burke. Peter Bryant, who died on July 29th. Renee Bryant’s friend Melissa, diagnosed with breast cancer. Prayers for Dave King, who is suffering from West Nile encephalitis. Petra Palmer’s granddaughter’s friend Summer who is having chemotherapy for leukemia. Prayers for Tom Pitman, who has recently been diagnosed with cancer. Nancy Coleman’s friend Sharon Veltre, who was recently diagnosed with cancer. Those living in fear and without hope, and those who use fear to control others.